In a delightfully confusing move, our guest this week is none other than Scott Galloway. No, not the host of this podcast. The other Scott Galloway. 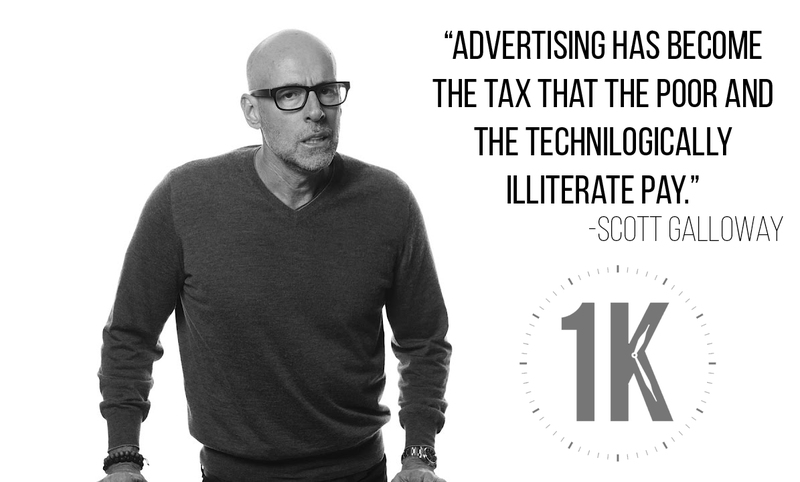 Or is our Scott Galloway the other Scott Galloway? Anyway, this episode features two Scott Galloways for the price of one. You might recognize our guest as the NYU professor who replied to a student’s rude email with a legendary virtual tongue-lashing. Or maybe you’ve seen his videos for L2 Inc on YouTube analyzing brand strategy and marketing. His new book, “The Four: The Hidden DNA of Amazon, Apple, Facebook, and Google,” looks at how these companies came to infiltrate our lives so pervasively. You can pick it up on October 3.